Beloved masters, we are constantly endeavoring to give you the most pertinent information to assist you to understand what is taking place, as well as a broad overview of what to expect, as well as methods, tools and exercises to assist you to move through the evolutionary process with the least amount of discomfort via the gift of grace (which is the refined energy of Karma). As always, however, we admonish you to accept only those concepts that resonate within your heart and Soul as your truth. You are to no longer follow anyone mindlessly, for you are to be the master of your own destiny, and as such, you must constantly exercise the gift of discernment. There are many devoted messengers who are now receiving different aspects of the new Divine Blueprint for the future of humanity. They have dedicated their lives to bringing you the wisdom teachings for the present and future times of worldly expanded consciousness. They are striving to bring forth the greatest wisdom and most beneficial information possible, and in order to do so they must always strive for accuracy and impeccability. By their works, they will be known. They have diligently stayed the course, and many times, they have proven their dedication and commitment to their chosen mission—no amount of negativity can deter them or keep them from fulfilling their spiritual destiny. You have separated your consciousness or fragmented yourself thousands upon thousands of times in order to experience the great diversity of Creation, and you have also reunited with many of the multiple facets of yourself more times than you could ever imagine. Each time you did so, you added more complex information and unique experiences to your Memory Bank Seed Atoms. The farther you moved away from the perfection of the Supreme Creator, and the deeper you moved into multi-dimensionality, the denser and less perfect your creations became, for you had less pure Light substance to work with. Therefore, there is no blame and there should be no feelings of guilt and failure, for each lifetime was designed as a carefully planned learning experience. However, this round of Cosmic Creative Expansion is now coming to a close. It is now time for you to reclaim your Self-mastery and the ability to create things of beauty and harmony in accordance with the original, higher-level Divine Plan. You must strive for a strong, highly developed connection between the mental and emotional bodies, and also between the Soul and the multiple Facets of your Higher Self in order to develop refined spiritual values. As you tap into the higher frequencies of Divine Wisdom, brilliant ideas will pour forth from the higher planes of intuition. You may experience exhilaration one moment and depression the next as you gradually achieve a blissful state of awareness, only to lose it again. However, the times of depression will grow less intense and also less frequent. Be assured that your ego-desire personality will rebel and resist the efforts of the Soul and the Higher Self–it will try to keep you in your habitual practices/habits of serving only the little self and its selfish desires. You must tap into the realm of the Sacred Mind and learn to use your Spiritual Will and discernment. You must constantly monitor and critique your words, deeds and motives as you train yourself and gain discipline over the little self. Remember: ALL KNOWLEDGE IS A FORM OF LIGHT. Millions of dear Souls are in the midst of what can be called the process of Ascension or traversing the multiple stages of higher awareness. This process entails healing, clearing and harmonizing all of your Soul Fragments remaining within the Third and lower Fourth Dimensions. Once you attain the mid-level sub-plane of the Fourth Dimension, you are ready for a tremendous upgrade in consciousness, for you will then be ready to begin the process of integrating the refined frequencies of your multiple Higher Selves. This process will continue until you have integrated all the Facets of your Higher Self within the Seven Sub-Planes of the Fourth Dimension. This is the Ascension goal for humanity during this round of advancement in spiritual awareness. As you have probably heard before, Ascension is an ever-evolving, continuous, on-going evolutionary process and not a destination. You should also be aware that you have experienced different phases of the Ascension process many times before in a multitude of locations and realities. 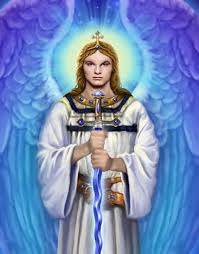 Many of you are now receiving impulses, messages of inspiration, as well as advanced information from your Higher Self, your guides or specialized angelic helpers. We ask you to proceed slowly, and allow your Higher Self to guide you through the process. By doing so, you will establish a firm connection with the cosmic frequencies of higher intelligence, and you will gradually and safely progress to the more advanced teachers of cosmic wisdom. As an aspirant on the Path, greater and greater cosmic truths will be revealed to you. However, you should be aware that the lesser principles of ageless wisdom will constantly be expanded to incorporate the unique rules, laws and truths of the next level of existence in the never-ending cycle of Ascension in consciousness. Remember, knowledge must be integrated and used in an appropriate, efficient way in order to be retained as wisdom. Spiritual/uman Beings are those who have developed their Superconscious abilities so they may begin to draw on the wealth of information stored within their Sacred Mind. Eventually, they gain the ability to draw forth inspiration and advanced information from the Higher Dimensions via the many fragments of their Soul Self, which are scattered throughout this Sub-Universe. The Super-Conscious Mind / Higher Self is your link to the Spiritual realms. First, you may begin to get flashes of information/inspiration via your intuitive abilities and during meditation. The powers of the mind are greatly enhanced as an aspirant on the Path becomes more proficient and comfortable in using the higher frequency patterns of the Sacred Mind. As a result of tapping into the higher frequency realms of the brain structure, a good portion of your memory of past events will begin to fade, which will allow you to move out of the realm of the instinctual brain/mind into the realm of the Higher Mind. 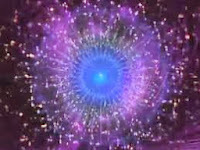 Ascension is mind-expanding, a process of passing from one state of consciousness to another. 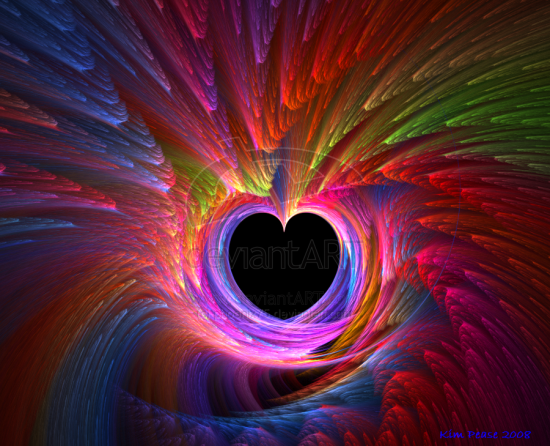 The awareness expands to include all humanity, the Earth, the solar system and its workings. No longer is the focus on the little self. 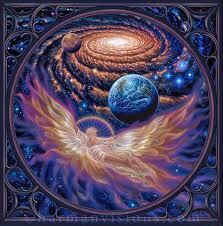 The ultimate goal is to become a galactic Being, and to eventually attain a Universal consciousness. 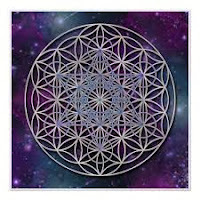 Become sharply aware that your emotions and your thought patterns are critical components within the process of co-creation, for they will determine the quality of the vibrational patterns you will send forth into your personal Twelve Ray, Flower of Life, Creator Wheel. The frequencies of the Seed thoughts you plant in your personal Wheel of Creation will determine the quality of what you will manifest and they will also determine what you will experience in your everyday life–whether positive or negative. These occurrences will be your barometer as to what kind of vibrational patterns you are sending forth into the world of cause and effect. Your primary task/goal at this time is to develop a state of mindful awareness, as you move deeper and deeper into the frequencies of the White Fire Seed Atoms within your Sacred Heart and Sacred Mind, where you will find all the strength and guidance you will ever need. 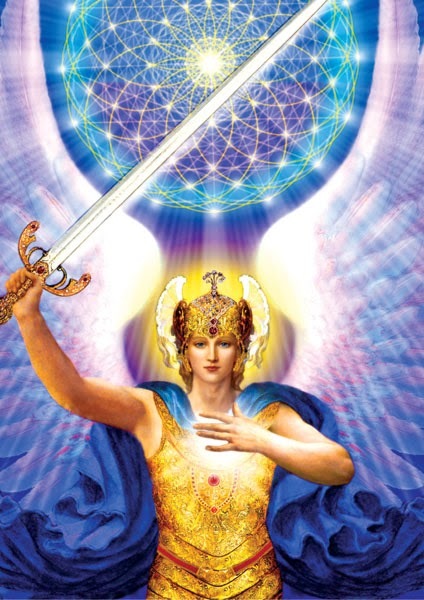 As you develop your co-creative abilities and become more proficient in your personal mind control and visualization abilities, you will understand how important it is to constantly monitor the frequency patterns you are radiating forth out into the world. Always be mindful that you live in a world of vibrating, neutral, cosmic energy–the forces of Creation–which are waiting for you to mold them into anything you can imagine. Over the years, many of you have joined in building Fifth-Dimensional Group Pyramids in many strategic places around the Earth. Often, the instructions we give you are in preparation for a bigger plan to manifest at some future time. It is now time for us to focus on the ever-expanding group of World Servers. Toward that end, over the last few years, the Group Pyramids around the world have slowly merged together to create one great Pyramid in the highest levels of the Fifth Dimension. 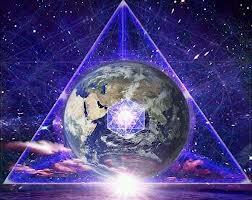 This Pyramid is not as large as the World Pyramid, for there is a decisive difference between the two. The World Pyramid has been created for all humanity so that anyone who wishes to go there to commune with our Father/Mother God, the great Beings of Light and the Angelic Forces may do so. It is a place to express gratitude and to pay homage to our God Parents, the Supreme Creator, and the mighty Forces of the heavenly realms. It is a sacred place of the highest form, and all who wish to experience the bliss of Oneness, and share their spiritual abundance and unconditional love are assured a place there. In the future, these great Pyramids of Light within the higher realms will take the place of many houses of worship as the world’s religions begin to accept the advanced wisdom teachings mandated by our Father/Mother God. The World Server Pyramids are reserved for those who are well on their way to attaining Self-mastery, and who have gained the right to share their integrated knowledge/wisdom with others. Just as with the Cities of Light within the Sixth Dimension, you are to first go into your personal Pyramid, and then make the journey from there into the World Server Pyramid. You will automatically gain entrance into the appropriate Pyramid chamber when your Energetic Signature/Soul Song reaches the required, refined frequency patterns. Thereafter, you will progress to the more refined chambers of Light as your personal radiance increases. Suffice it to say that this is one of the greatest opportunities you will ever have to serve humanity and the Earth. We are aware that many of you are disturbed by all the negativity, injustice and chaos which are rampant around the world. However, deep within, you know that the great changes taking place will eventually result in a world of peaceful coexistence, harmony and abundance for all humanity. Be assured that you can be a positive instrument for change. 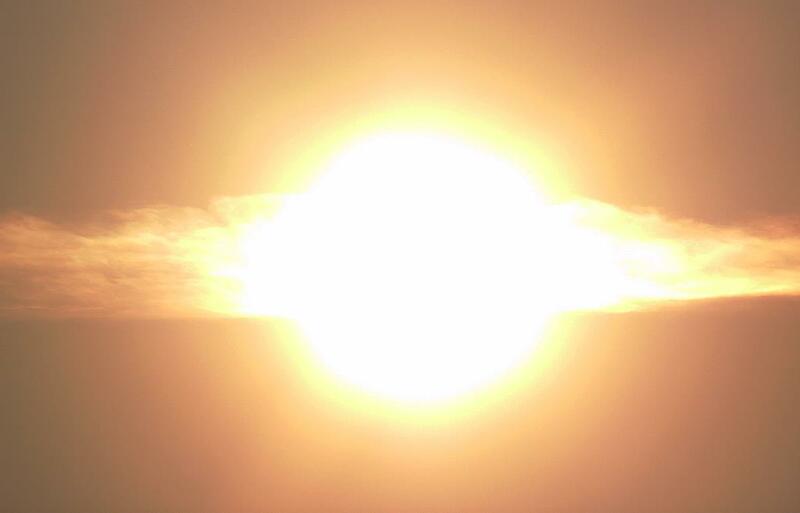 Allow us to send forth the dynamic Rays of Creator Essence for this new era of evolution from our Father/Mother God to and through you, so that you may become a Beacon of Light.